The 2015 Green Paper on Higher Education left us in no doubt that government is aggressively pursuing the privatization of higher education. The 2010 Browne Review began the process of turning higher education into a consumer driven activity that students buy in exchange for skills for the job market. The Green Paper finishes this process by effectively removing entirely any reference to higher education in terms of non-economic value leading to what Collini (2016) refers to as ‘barren utilitarianism’. This document will not critique all of the issues in this approach as this has been done admirably elsewhere (e.g. Bishop, 2015, 2016; Holmwood, 2015; McGettigan, 2013). Rather, it seeks to establish that there is an alternative that is both desirable and feasible. It begins with the premise that higher education is a public good that has public benefits and should be supported as a public service; and that Goldsmiths should provide the highest level of education in arts, humanities and social sciences to extend a range of knowledge, understanding and creativity. The Gold Paper seeks to recognize what people working within Goldsmiths think it stands for as a place of learning; to celebrate its creative, critical and radical ambitions; and then to seek ways of ensuring these characteristics are part of the fabric of the institution. It will be visionary and seek to offer a coherent approach that Goldsmiths staff will own and work vigorously to develop and to defend. If this vision is adhered to then the bold premise of the Gold Paper is that staff in Goldsmiths will seek to ensure that as many students as possible can benefit from the education and learning that Goldsmiths has to offer. The Gold Paper is based on the firm belief that if the College actively represents the things we believe in, then staff across the College will support it fully, innovate for it, create within it, strive tirelessly for its success and enable it to flourish and grow. This will bring more students to Goldsmiths and enable our broader ambitions to be realized. Conversely, if the College does not actively represent the things we believe in then we are far less likely to seek to extend its reach. The Gold Paper begins from two ambitions: to restate our purpose and reclaim a vision of the public university that is disappearing from view in the midst of the increasing marketisation of HE, while also offering pragmatic steps towards its achievement beginning with what we do at Goldsmiths. For this to work it must be a grass roots endeavour involving everyone from porters to professors; it must be a collaborative process that will include senior management and students; it must be organic and unfinished – a constantly open and iterative process. It will work through the campus unions and existing governance and organizational structures but not be confined to them. It will acknowledge the current context but refuse to be driven by it. Rationale: All organizations will grow staid and stagnate if they are not refreshed through a constant process of reflexivity. This only works when there is full transparency and accountability and the opportunity for people to actively partake in the governance of the organization. Open and inclusive governance will actively seek to represent diversity in areas such as gender, sexuality, age, ethnicity and disability, and in terms of communities such as staff, students, local, national and international users of HE, business and the professions, and other educational partners. Increased democratic structures will unleash new voices and stimulate creative thinking. Council, Academic Board and all relevant sub-committees should seek to be as representative as possible of the diverse communities that Goldsmiths serve. Elect the Chair of Council. There is a danger of fetishizing democratic forms as solutions in and of themselves. They are not but they are a very important step. Rationale: Since the Browne Report on Higher Education that brought in the end of the block teaching grant for arts, humanities and the social sciences and the increase in students fees up to £9,000, the funding premise of universities has altered such that security in continuity of funds feels less stable (even if for the majority of institutions this has not been the experience). The Browne Report changed radically the terms on which universities functioned. It determined that we should no longer think of higher education as the provision of a public good, articulated through educational judgment and largely financed by public funds (supplemented then by a relatively small fee element). Instead, it proposed that we should think of it as a regulated market in which consumer demand is sovereign in determining what is offered by service providers (i.e. universities). The almost complete removal of the annual block grant that government made to universities to underwrite their teaching, brought about a redefinition of higher education and the retreat of the state from financial responsibility for it. Instead universities have become educational superstores attracting customers, selling their wares in a competitive marketplace. The student is now a customer and the consumer is sovereign. Following the changes to HE, public money is now an increasingly minor proportion of income for English universities. In 2015/16, the teaching grant for the whole sector was just £1.42bn (HEFCE, 2015: 2). Since the sector’s total income in 2013/14 was £29.1bn (UUK 2014: 23), the HEFCE teaching grant comprises under 5% of income. As Jones (2015) points out what little support for HE teaching is still provided now comes mostly through the state backing of the student loans system. The onus on universities to be responsible for their own income has introduced a constant tyranny of numbers. 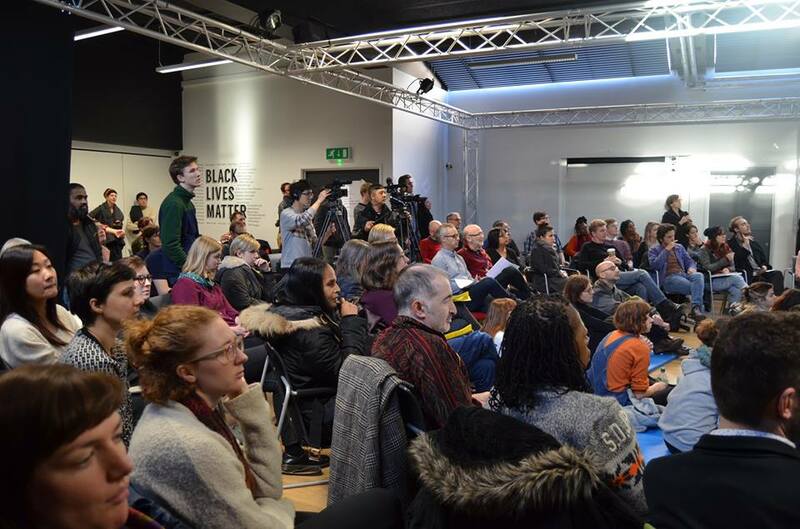 The focus in Goldsmiths (understandably in many ways) has shifted to concerns of quantity – get the students in. We do not have a diversity of funding streams that other institutions have, particularly those with STEM subjects. In order to attract students we are encouraged to give them what (we think) they want – more vocationalism, new buildings, better facilities. Our financial well-being rests on being able to maintain and grow student numbers. Goldsmiths needs to be financially well run and to make best use of its resources but it is not, primarily, a business and the education it delivers should not be treated as a commodity. This paper acknowledges fully the financial requirements of the institution and understands that there is no quick fix to the problems. What we wish to do, however, is to shift the emphasis from a purely economistic calculation of value and a wholly individualistic conception of ‘consumer satisfaction’ to one that first and foremost values education. To these ends, we would question the purpose of chasing the small rewards (an increase in fees equivalent to the rate of inflation) that a TEF framework promises. It is true that in the new funding regime some universities feel better off. Indeed, with the bulk of research funding being attracted to the universities that (are thought to) have the best reputations, the most likely effect of current (and proposed) HE policy is to exacerbate the financial disparity between types of university and, above all, to bring about a much closer correlation between the reputational hierarchy of institutions and the social class of their student body. Increasing fee differentials through TEF will likely replicate and even intensify the existing disparities between institutions. We need to be able to ensure continuity of quality and maintenance of standards in an unpredictable environment. The Gold Paper is visionary but it is not ‘pie in the sky’ politics. It is premised on the active pledge that if staff work to increase student numbers, Goldsmiths will not only remain firm to the values we hold dear but will seek to implement a series of policies that will actively work towards realizing the visionary policies and practices in this paper. Open decision making on how best to approach participation in the TEF. Rationale: In the TEF, every department would be subject to review on a five-yearly basis by a disciplinary panel comprising educational experts, students and employers. At a huge cost these panels will review metrics (employment/destination; retention/continuation and student satisfaction) and qualitative evidence submitted by institutions. TEF levels will be rewarded to institutions not departments. There will be four TEF levels. Those that achieve the higher TEF levels will be able to raise their maximum fee cap in line with inflation (currently at less than 1%, so £9,000 fees could increase to £9,090). It is expected that student numbers will also rise in these institutions due to ‘reputational gain’. As fees are capped at inflation the best that can be achieved is for income per student to stagnate. While we object to the TEF on the grounds of increasing marketisation of HE, we also believe that it is deeply flawed in its attempts to measure quality. Even the Green Paper suggests the metrics they propose only offer ‘imperfect proxies’ of teaching quality. Just as it cannot measure teaching quality so it will drive a bureaucratic nightmare similar to the £230m institutions have spent on REF dry runs, paying consultants, modelling outcomes that will massively outweigh any benefits (that in themselves are questionable). A management response to this threatens to take any of the joy out of teaching and replace it with an obsession with delivering the right metrics and resourcing only those areas that can show improvements in metricised scores. It is absolutely right that we are concerned about our ability to teach well but we should recognize that understanding teaching quality is not going to come about from the NSS (that is also extensively ‘gamed’ and poorly designed) and neither is it related to employment or retention (both of which are influenced by the labour market more generally and whole host of socio-economic factors). Limited metrics can be counter-productive in generating routinised and risk-averse forms of teaching deployed purely to tick boxes on poorly conceived forms running counter to the very best of creative teaching Goldsmiths has to offer. We should draw on the expertise of our Education Department to devise meaningful forms of teaching development that are suited to the subjects we offer. We should rely on reason, argument and evidence; critical and creative thinking, rigorous analysis and meaningful implementation. And we should acknowledge that expansion of student numbers on the cheap dilutes the level of attention to individual students that most of us can provide and where we are left, in some instances, with over crowded seminar rooms and poor staff/student ratios – the very worst conditions for improving teaching quality. The Green Paper claims to be concerned with social mobility that it links (problematically) to access to HE by disadvantaged social groups. The government wants to raise the participation rate of students from disadvantaged backgrounds from 13.6% (2009) to 27.2 % by 2020 and increase the number of BAME young people going to university to 20%. The Green Paper offers no solutions whatsoever for this problem. Although Goldsmiths traditionally has had a quite diverse student body there is anxiety that this is lessening. The latest UCAS figures show that just 16% of applications to creative arts and design courses came from state school students (Arts Emergency, 2015) as arts and humanities subjects look set to increasingly become the preserve of the wealthy (who are not worried about the debt they are left with at the end of their degree). Latest UCAS data for England also shows that although participation is increasing so is the opportunity gap between the haves and the have-nots (i.e. participation is increasing more amongst the advantaged). Of the four subject areas showing a decrease in applications, by far the greatest drop was for combined Science and Arts/Social Science courses. The second biggest drop was for combined Arts subjects. International recruitment will continue to be a vital funding stream. But this should not be to the detriment of academic standards and should ensure that there is diversity and equality in the student body. Also, increasing student debt will mean more and more students continue to live at home while studying at university. We need to do far more to engage with our local schools in South East London and London more generally and work with them to enable students from diverse backgrounds to realize their potential within a Goldsmiths environment. We should also do more to develop continuing education provision amongst communities we serve. Make the Library available to the public. It is right that teaching is given equal standing to research. But this should not be at the detriment of research. There is an inter-dependency between teaching and research that should be preserved. The logic of the Green Paper is that the better a department scores in REF then the worse they score in NSS. There is no evidence to support this claim. It is only through well-informed and rigorous approaches to our teaching practices that take account of research in the field that we will improve our teaching. It is not through responding to ideologically driven agendas. The TEF will not rebalance teaching and research priorities; rather it will increase pressure on staff time. British investment in Research and Development used to be one of the highest amongst OECD countries in the 70s. It is now among the lowest (Jones, 2013). Universities are being pressed to fill the gap and are increasingly turning to private beneficiaries. But this comes with a risk of university research being at the behest of short-term commercially driven projects that force a turn away from fundamental/blue skies research or research of a more theoretical/critical bent. Fetishizing the impact agenda also threatens to drive research to users’ requirements rather than to those areas with little immediate applied purpose but of great intellectual or broad social value. It is not that impact driven research in and of itself is undesirable but it should not be valued more highly than other forms of research. As noted above, the relationship between teaching and research is being dismantled. As Holmwood (2011) notes the TRAC system of accounting made it appear as if teaching was subsidizing research. Now universities are reluctant to argue that a proportion of student income should properly be used to support scholarship. Academic freedom is at the heart of a research-healthy institution. The principle of academic freedom enshrined in the Education Reform Act (1988), is that ‘academic staff have freedom within the law to question and test received wisdom and put forward new ideas and controversial or unpopular opinions without placing themselves in jeopardy of losing their jobs.’ This commitment to academic freedom needs to be embedded in all our proposals for new research structures and agendas. Increased investment in research infrastructure to better support those applying for and working with external research grants. Rationale: All of our teaching and research relies upon the staff in central services and the infrastructure they are part of. These are often the people who know most about how the College operates yet are frequently excluded from decision-making bodies. Similarly, if these are people employed on outsourced employment contracts they are likely to be less well paid and suffer worse employment conditions. Too often there is an ‘us and them’ split between academic and support staff that is replicated in our structures. Support services for students in key areas such as mental health, childcare provision etc. should always receive equal prominence/access for staff. Just as Goldsmiths graduates are given a reduction in fees for continuing on a Masters Programme at Goldsmiths, so the children of all Goldsmiths staff should also receive a reduction in fees (and be encouraged to apply). Goldsmiths should be at the forefront of a movement for change in HE policy and be striving to build a strategic political alliance across the sector. It is vital that Goldsmiths represents the views of its staff to Government and to lobby Parliament for change. In the last Coalition government, eight Conservative MPs voted against the reforms to HE largely as a result of lobbying carried out by the vice-chancellor of the University of Huddersfield. Recent reports note that 13 universities have been scathing in their criticisms of the Green Paper along with 9 learned societies and 31 sector bodies. There is an alliance to be built and Goldsmiths should be driving it. The UCL provost has already said that UCL would be unlikely to submit to the TEF ‘for purely financial reasons’ (Arthur, 2015). The vice-chancellor of the University of Sheffield has stated that ’I do not believe, however, that the great successes of British higher education have been produced, or will be sustained, by further marketisation of the kind the green paper envisages.’ He goes on to say that ‘The change in relationship from a student member of a university to a customer is profound, and one which we have actively resisted in Sheffield’ (Burnett, 2015). Develop a campaign strategy with a parliamentary and public focus using current students, alumni and community partners. The ideas and approach in this paper need to be discussed at as many levels with as many people as possible within both service and academic departments, with staff and students, on College Committees, within School meetings, on SMT and at Council. There should be a series of General Assembly meetings to discuss key aspects of the Gold Paper and agree ways forward. The document should be revised and redrafted until it reaches a point where it can be owned by the community of Goldsmiths and has an implementation plan. McGettigan, A. (2013) The Great University Gamble:Money, Markets and the Future of Higher Education. London: Pluto.